We’d love your help. Let us know what’s wrong with this preview of Apples to Cider by April White. In Apples to Cider, these cidermakers and their colleagues share decades of experience and a simple philosophy: Cider is all about the apples. Whether you are a home brewer, a home winemaker, or simply a cider lover, you can jo Make great cider at home with just a few ingredients and minimal equipment--with some help from Stephen Wood and the crew behind Farnum Hill Ciders. To ask other readers questions about Apples to Cider, please sign up. 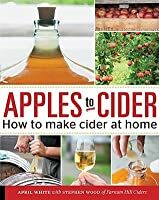 It has a lot of interesting historical information and a great recipe for making one kind of cider (the Farnum Hills style). It didn't have a whole lot of extra information about other styles. Great photography! 2.5 Stars. 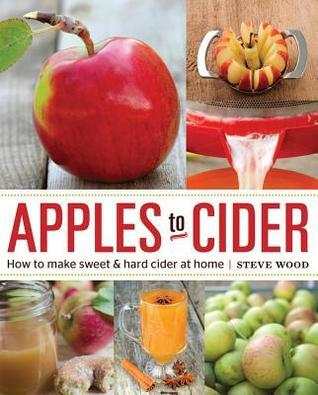 Early on the author writes that making hard apple cider is not hard and in fact is a one or two stage process. This is true and because of that, I am not sure I got much out of the book. Too bad, because it is highly access2ible and has some great pictures.